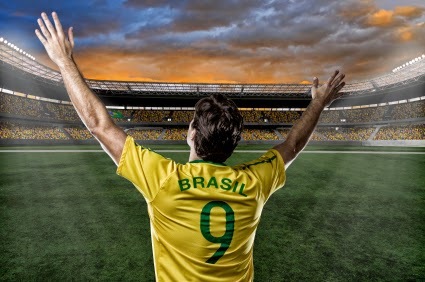 This year, 32 national soccer teams will compete for the 2014 World Cup in front of some of the most avid soccer fans in the world throughout Brazil. The amount of individual talent on each team is fantastic and will be the key deciding factor in many games in the upcoming tournament. Look out for these players to be making an impact in big games this year. As one of the younger members of the US National Team, we're looking for Altidore to add energy into a team of veterans. Altidore had a career high 8 goals (including one hat trick) in international play last year, and if he can bring that momentum into the World Cup, the US could possibly make it through the group of death. The USA opens against Ghana, which on paper, is the least challenging of the group. This should give Jozy the opportunity to find his rhythm. Messi is a goal scoring machine and captain of the Argentina national team. To beat Argentina, you have to stop Messi, and you can be sure to see every team employ their best defensive players and tactics to minimize his impact. Still, Messi is known for his incredible dribbling and ability to penetrate defenses, so the world will be sure to see some spectacular play out of him. Neuer is one the most (if not the most) talented goalkeepers in soccer today and will pose a challenging last line of defense to anyone that has to face him. Germany is a favorite for many in this year's tournament, provided they don’t have any slip-ups in their challenging group stage, and Neuer is a crucial piece to their squad. Neymar da Silva Santos Júnior is the standout offensive player on Brazil, and it’s difficult to say he won't be the most watched player in the 2014 World Cup. As a star player on the host country’s national team, he will have enormous pressure on his shoulders but as a member of FC Barcelona, it's nothing he's not used to. It will be difficult to face a player of his caliber on his home turf with the entire country behind him. MMAR Medical provides injury solutions for a variety of sports including soccer braces for supporting knees and ankles during the game. Visit our store for our complete selection.